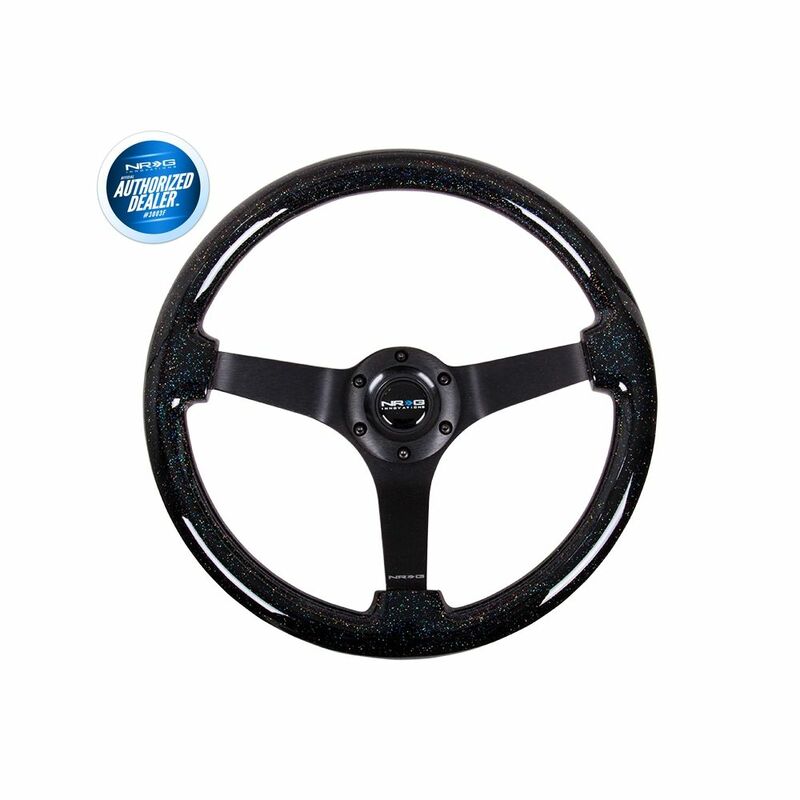 NRG Innovations Wood Grain Steering Wheel (Deep Dish Series) ST-036BSB-BK Black Sparkled Wood Grain Wheel 3" Deep, 350mm, 3 Solid spoke center in Black. 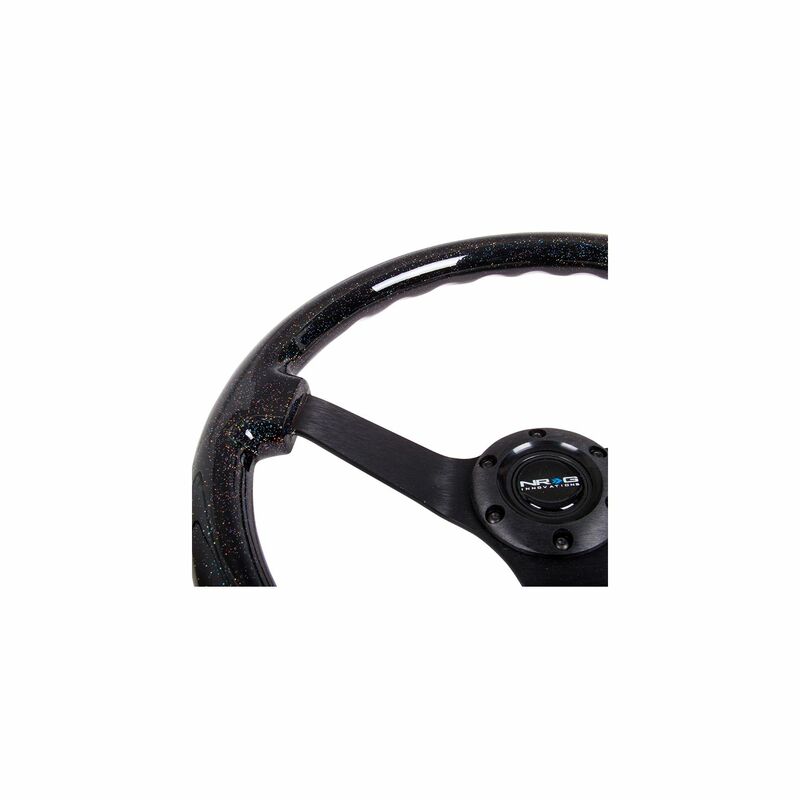 The 3" deep dish series steering wheel is the perfect choice to get that sporty look in your vehicle. The Black three spoke dish design is made from high grade materials for added style and performance. the new wheels have a superb feel and look to them and smooth luxurious wood finish. Whether you’re braking late to steal your rivals’ apex or cruising around town make NRG Innovations your number one choice for steering wheels. 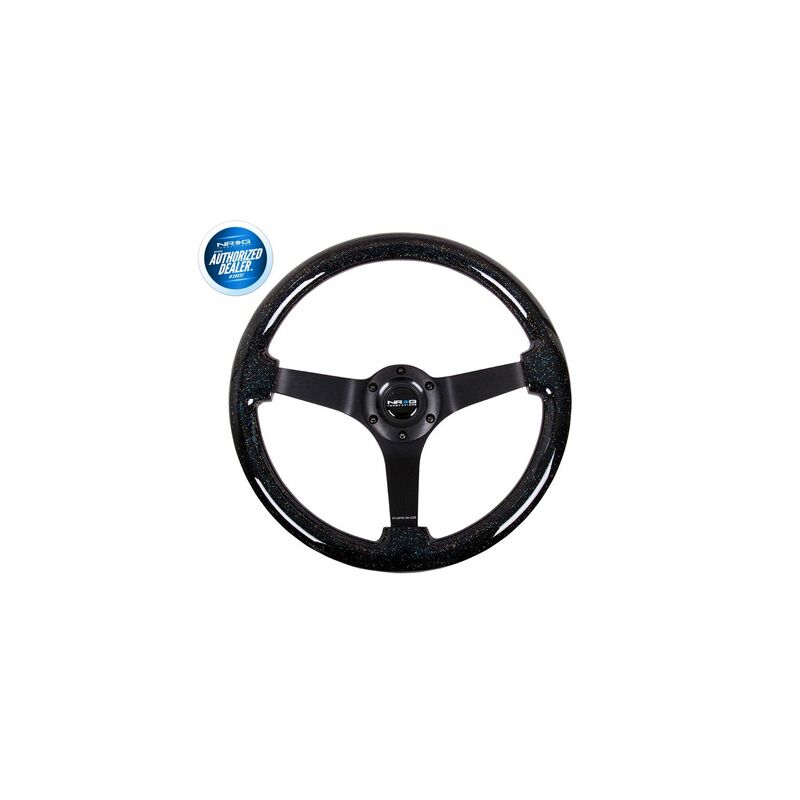 NRG steering wheels are sure to give your vehicle that extra edge of control and styling. 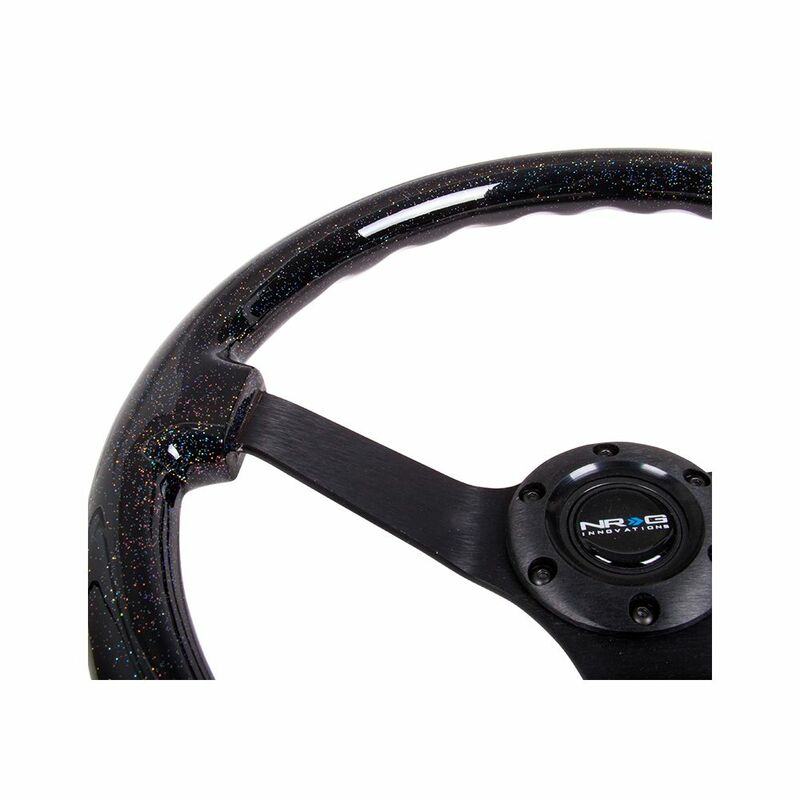 NRG Innovations Wood Grain Steering Wheel (Deep Dish Series) ST-036BSB-BK Black Sparkled Wood Grain Wheel 3" Deep, 350mm, 3 Solid spoke center in Black.The 3" deep dish series steering wheel is the perfect choice to get that sporty look in your vehicle. The Black three spoke dish design is made from high grade materials for added style and performance. the new wheels have a superb feel and look to them and smooth luxurious wood finish. 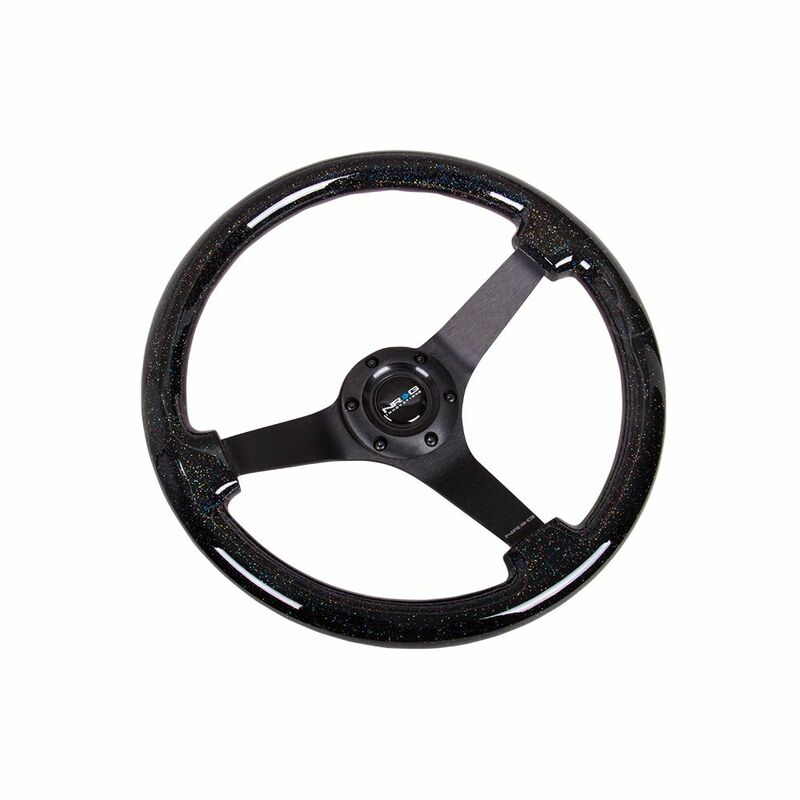 Whether you’re braking late to steal your rivals’ apex or cruising around town make NRG Innovations your number one choice for steering wheels. 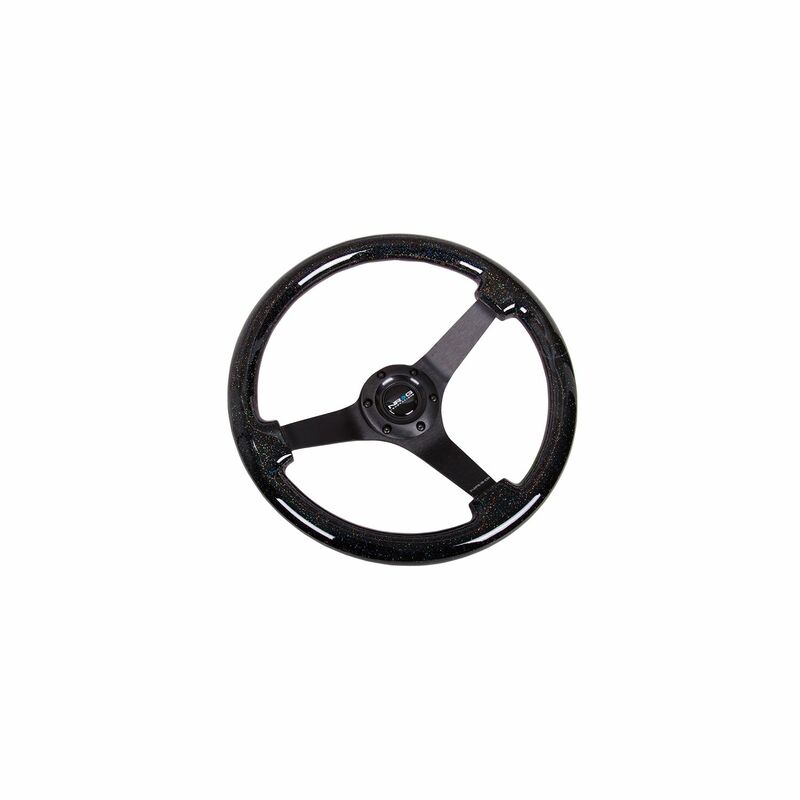 NRG steering wheels are sure to give your vehicle that extra edge of control and styling.